For outdoor balcony, pool, garden. They provides all the various vange of wooden/timber decking tiles at affordable rates. Since 2007, Polydeck® aims to provide an alternative to natural timber with quality wood composites which are environmentally friendly, safe, aesthetically pleasing and durable. 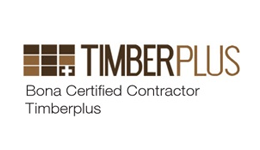 Timberplus is dedicated to ensuring your experience with Timber is AMAZING. We know the decision to select, install, replace, re-sand or re-varnish can be stressful and difficult. That's why in Timberplus, our expertise over years makes your decision easier..